From HC's Wind to Geronimo, Rudy Ramos is launching a one-man show about Geronimo's story, from his final surrender through his 20 years as a POW at Fort Sill, OK.
You can be a part of the adventure of Geronimo, Life on the Reservation through Kickstarter.com, and help Rudy fund the expenses for the tour. No amount is too small! Pledge $1 or more and get a personal thank you email from Rudy Ramos. Pledge $25 or more, receive an 8.5 X 11 personally signed photo of Rudy Ramos. Pledge $50 or more, receive a personally autographed photo of Rudy Ramos and a copy of his CD, "Hard Knocks and Bad Times." 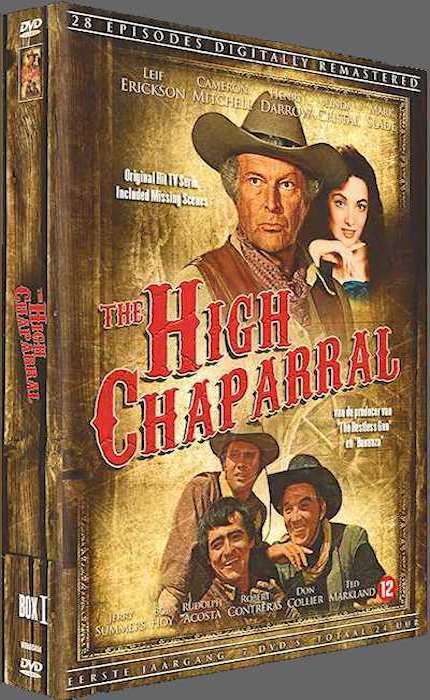 Pledge $100 or more receive the complete DVD set of Season 4 of The High Chaparral. (only THREE available). Pledge $200 or more receive a 5 minute phone call from Rudy Ramos to you. Pledge $300 or more ask Rudy a question and he will record a 3 minute video of the answer, sent to you via email. Pledge $400 or more receive your name in the program for Geronimo, Life on the Reservation as a premium donor, and two tickets to a performance of your choice. Pledge $500 or more receive your name in the program for Geronimo, Life on the Reservation as a premium donor, two tickets to a performance of your choice, and a visit with Rudy Ramos after the performance. Pledge $1000 or more receive your name in the program Geronimo, Life on the Reservation as a Sponsor of the Tour, two tickets to a performance of your choice and dinner with Rudy Ramos after the performance. 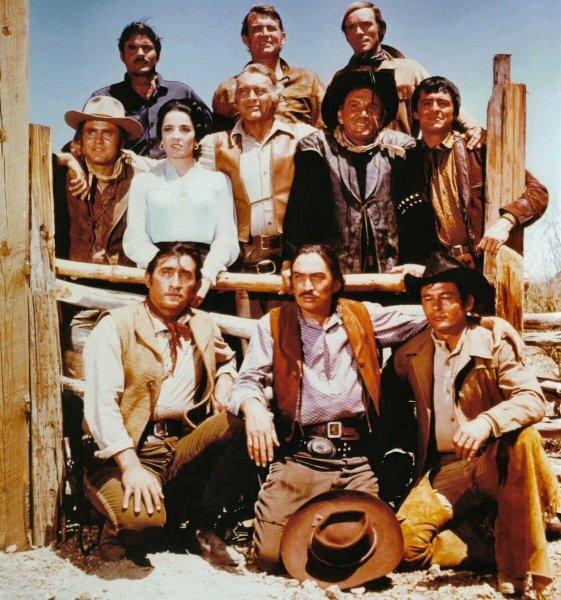 87 members of The High Chaparral family are signed up to come to the Reunion.....are you registered? Don't be left out! It's a one of a kind experience and dream come true, an event you'll never forget. 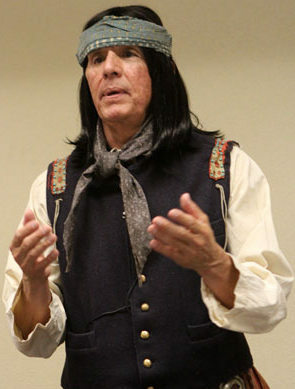 Rudy Ramos premiers Geronimo, Life on the Reservation, a one man play by Janelle Meraz-Hooper. Casting Call with Susan McCray - fans participate in a casting session with Susan, then some are cast to appear in a reading of a scene with the stars. Wild West Festival at Old Tucson, visit to the Cannon ranch house at Old Tucson, meeting guests Don Collier, Rudy Ramos, Kent and Susan McCray, Boyd Magers, Luster Bayless, one on one time with the stars, and much more. Don't miss your chance - join the family and register today! 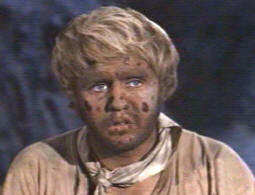 Do you think the High Chaparral ranch foreman is dreamy? Now's your chance to meet him in person. Don Collier appears at Red Rock Wild West Town on September 21, Mitchell, Indiana. http://tinyurl.com/m6nptey. This is a fantastic opportunity for fans in the Midwest to meet one of our favorite High Chaparral celebrities in person. 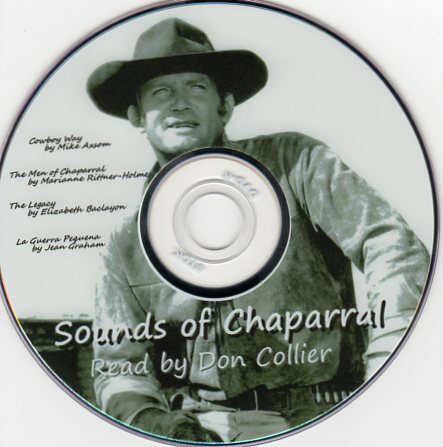 Hear Don on the Sounds of Chaparral CD. $10. 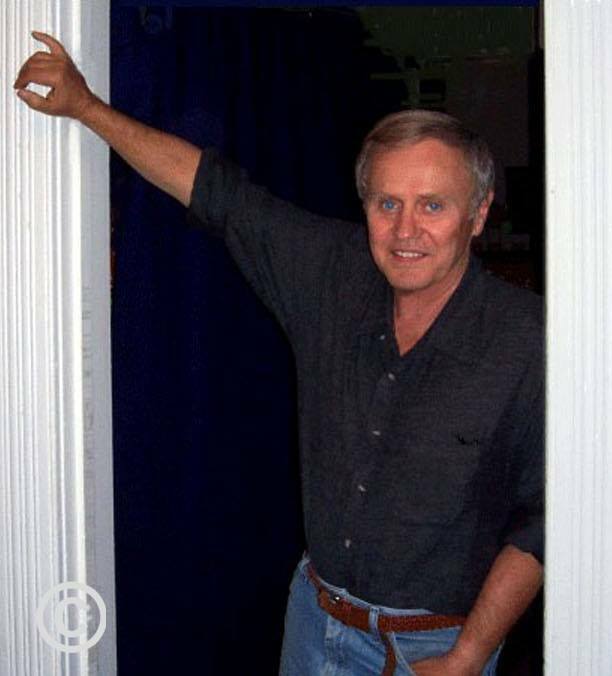 We'll have to agree with the lovely Kiva Hoy's description, "Don has a one-in-a-million velvet, beautiful, masculine graveled voice." Wind (Rudy Ramos) has a birthday on September 19th! This month on Facebook we're talking BIRTHDAYS. Henry Darrow's 80th is September 15th. To send a card email garciakathleen@sbcglobal.net for the mailing address. The deadline is September 10th so there's still time to wish Manolito a special birthday. 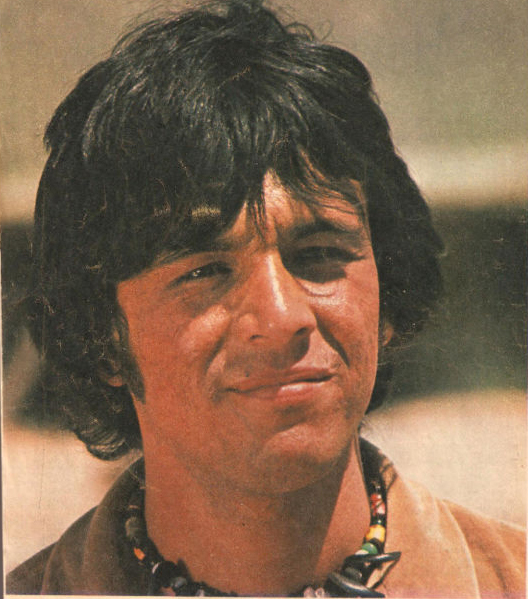 Rudy Ramos celebrates his birthday September 19th. Instead of birthday cards fans of Wind are contributing the cost of a card and postage to the Geronimo, Life on the Reservation project. http://tinyurl.com/ko8anle. SO much easier than shopping for a card, finding the address, sticking on the stamp and remembering to get it to the post office in time. Your birthday card gift goes to a wonderful project.....plus you get a choice of great gifts back! Everyone wins so wish Rudy a Happy Birthday at http://tinyurl.com/ko8anle. 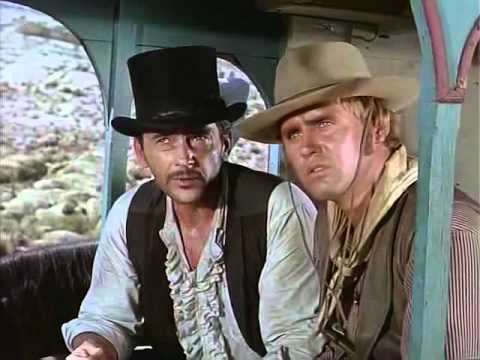 Birthdays coming up in October include Don Collier (Sam Butler) on October 17 - give him your congratulations in person at Red Rock Wild West Town on September 21, Mitchell, IN. http://tinyurl.com/m6nptey. 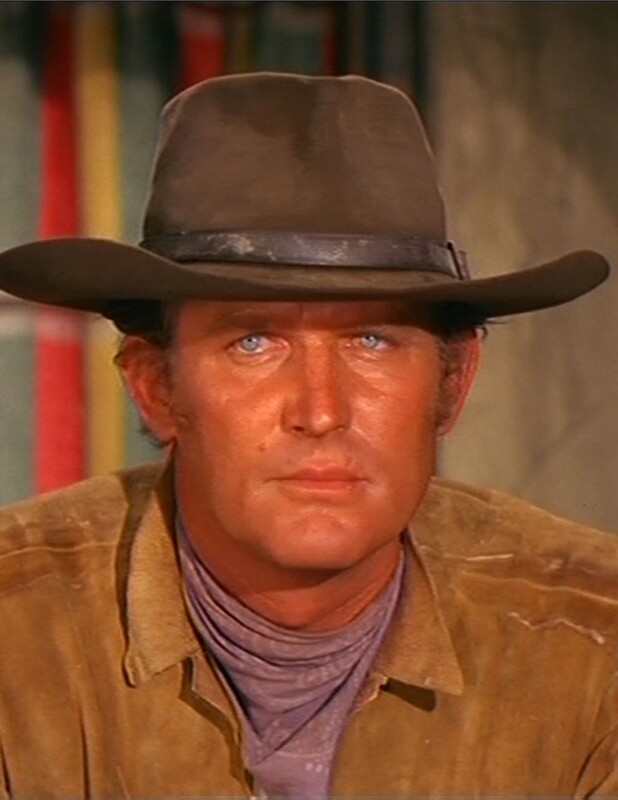 Leif Erickson's (Big John Cannon) birthday is remembered on October 27. Here's a fun Facebook conversation about Stinky Flanagan. 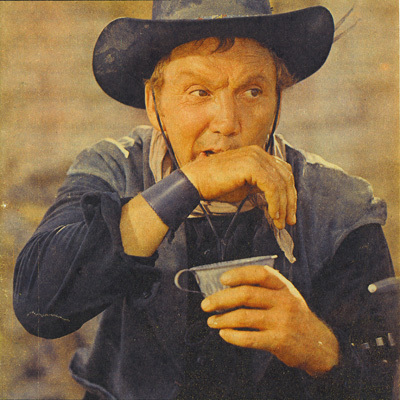 Cameron Mitchell, the rough-riding co-star of “High Chaparral,” says his primary objective in life is a quest for sanity in the television jungle. A longtime movie star Mitchell finds the pace of his new NBC-TV series a kind of brinkmanship with insanity. He’s up every morning at 4:30 and by noon is dead on his feet. But the show grinds on, often until 9 or 10 o’clock at night, much of it on location. Mitchell returns to his Pacific Palisades home too tired to do anything but tumble into bed. The actor is married to Lissa Hamilton. They are the parents of Cameron (Buttons), 5, and Jonathan (Jono), 2. The family is rounded out with three cats and a German shepherd. Fortunately, the Mitchell’s have space enough to keep a burro. Their home is located in a canyon with some five square miles for Buttons and Jono to play cowboy and Indians, just as their father does on the screen. The house itself is an old Spanish place with five bedrooms and a den. Mitchell, however, spends what little free time he has in a small cottage at the rear of the property surrounded by tall trees. There is a swimming pool for the family, but the head of the house rarely swims. 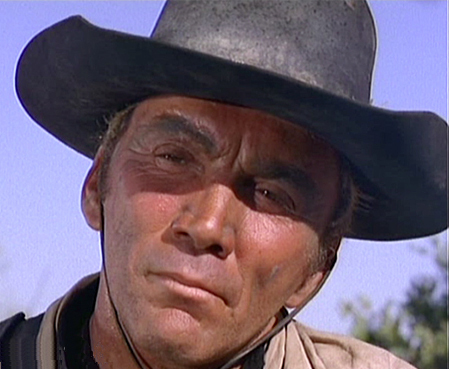 Frequently he works out in his small retreat with leaded weights to give added strength to his hands and arms for the arduous horseback riding he does as Buck Cannon, the hell-for-leather character he plays. Mitchell arises early to avoid waking the rest of the family and to beat the traffic to Paramount studios. He has breakfast at a small restaurant near the studio and grabs a quick lunch during the noon break. 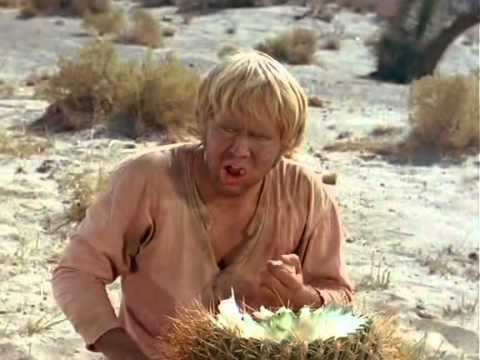 On location he is required to work six days a week in the desert country outside Los Angeles or in Arizona. Mitchell says he is determined never to wear a formal shirt and necktie again as long as he lives. At home he goes barefoot and shirtless in the summer months. During the winter months he makes a concession – shoes. As I watched my sons and their friends try to navigate life and understand their place in it, I was struck by the fact that every generation has new challenges, but still faces the same moral dilemmas. I wanted to weave a story that explored the disappointments, confusion and decisions that become a person’s character. WOULD YOU SAY THAT THE RELATIONSHIP BETWEEN BILLY AND DAVID WAS THE CATALYST FOR THIS EXPLORATION? Absolutely, we learn everything from our relationships and our reactions to them. Boyhood friends always feel that they will be together all through life and find comfort in that. But the reality is that we are all very different people and sometimes our paths don’t coincide. It is from those very deep disappointments that we learn about ourselves. HOW IS THE SETTING OF YOUR NOVEL IN MAINE SIGNIFICANT? Upper Maine, with its wild coastline and rugged terrain, clearly reflects the nature of isolated, rural environments all around the world. The insular quality of such remote places creates an illusion of a time set apart from the structure and hustle of urban life — that’s why they make such desirable vacation spots. However, it is this very isolation and self-contained reality that breeds undercurrents and dark secrets that are shared by the inhabitants. I would hope that the novel’s appeal is two-fold. First, as a cautionary tale for those of us who leap ahead with no concept of consequence. Secondly, in every life there are regrets, buried secrets, and missteps. It is not our mistakes that define us, but what we learn from them that defines who we become. 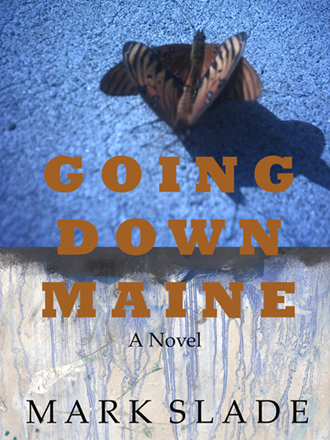 Autographed copies of Going Down Maine can be purchased at http://www.marksladestudio.com/. A collectable poster individually signed by author Mark Slade and artist Morgan Riccilli Slade is available. Would You Rather Have the Illness or the Cure? While researching if any ‘old’ remedies might help alleviate the annual bout of flu, I made some interesting discoveries about Old West cure-alls. In fact, there were so many amazing ‘remedies’ that I’ve filed enough for a second article. Some are hilarious, others downright dangerous. A few have a shred of logic behind them. While I think they make for good reading, I DO NOT recommend you try any of them – if the likelihood occurs that you are tempted to (and if so, you might ask yourself if you’ve had enough to drink for one day). In keeping with the flavor of the newsletter, we will start with one that uses the chaparral. It’s for those who suffered from boils. You must first catch a chaparral (aka the roadrunner). It must be a chaparral; apparently chickens, ducks and other birds don’t work. Kill the bird and eat it. I presume the bird is first cooked. After all, everyone knows how dangerous eating raw chicken is and the danger is present in all fowl. We can assume people had worked that out*. Once you’ve eaten the chaparral, the boils should soon disappear. And if they don’t, well you won’t need dinner. * Back in the days of Henry VIII’s banquets, peacocks were carefully skinned before cooking. Before serving, the raw, feathered skin was carefully replaced over the bird for presentation purposes. Anyone who ate meat in contact with the raw flesh paid for it. The next is a cold remedy which also protects from others catching your cold. Eat a raw onion sandwich then wash your hair. I’m not sure what would happen if you washed your hair first. Maybe you’d render the onion void. For years, people have believed that onions attract bacteria, which by the way is untrue. We can assume they thought the onion acted like a sponge, soaking up the germs. As for washing the hair (I’m surprised it wasn’t with an onion), who knows? It would at least get rid of the onion smell on your hands. I can see how this remedy prevents your nearest and dearest from catching your cold. After all, how close would you be hanging around someone with raw onion breath? Got something in your eye? No worries. Just pour warm milk into it. That way you will have something else in your eye to worry about. Make sure the milk isn’t too hot or it will burn - in case that never occurred to you. I don’t expect poached eye would feel too good. But it would certainly help you to forget the speck that originally blew into it. Speaking of hair, is yours bald or thinning, making you feel less attractive to others? If so, help is at hand. Just smear fresh cow manure all over your head working it in well. Remember, it must be fresh otherwise you will be smearing resident dung beetles on your head and they might not appreciate that. We guarantee that your family and friends will soon notice you. So will the flies and any stray dung beetles that are still looking for a home. Got an earache? I suspect this is the brainchild of someone’s great-granny. Have a smoker blow tobacco smoke into your ear five times a day while saying, ‘Hurt, hurt, go away, go into a bale of hay.’ I recommend burning said hay because if you fed it to the stock they would end up swallowing the hurt and we don’t know what that might lead to. But lice weren’t the only problem in the Old West. Hangovers were everywhere. We have two interesting options to try. The first is easy enough, cut a lemon into wedges and rub the fleshy side of the wedge under your armpits until they are nicely covered with lemon juice (and other bits). The armpits will soak up the juice, rehydrating the body. Apparently just drinking a glass of water didn’t occur to any of these guys. The second cure required rabbits but unlike the poor chaparral, they come to no harm. Instead, and this isn’t the tricky bit, you must collect enough fresh droppings to fill about half a cup. Then you seep the droppings in boiling water and (here’s the hard part) drink the resulting solution. But take care; the droppings must be as fresh as possible. Otherwise… well, they don’t say. Maybe it won’t taste as nice. Now a remedy for something I suffer with from time to time, a ‘crick’ in the neck. I am advised to go down to the pig pen (assuming there’s one handy) and find out where the pigs’ favorite scratching post is. Then position your neck in the most rubbed area of the post and rub away till the crick is gone. Of course unless you are some kind of contortionist, you will end up one giant crick after doing this. Oh and your neck will probably be full of splinters and hog hair but maybe I can find a remedy for that another time. Got ‘rhumatics’? Have a cat sit on the affected area. This one makes sense since the body heat of the cat would relieve pain. It would probably work best on stiff knees since you are more likely to convince a cat to sit there for a while. Arthritic shoulders or ankles may pose more of a problem if the cat is uncooperative. Bleeding need to be stopped? Simple. Cover the area with a spiderweb. I suggest that you be sure to remove the spider first. Oh and this works for nosebleeds too. You just stuff the whole web up your nose. Don’t ask me how you get it back out, though. Our skin matters to us so I include a remedy for facial blemishes. We know that Manuka honey has antibacterial properties and it has been successful in healing some wounds. But we will assume that in the Old West, any old honey would have been used. Ladies smeared it all over their faces and waited… they didn’t say how long. Then wash it off. But be sure to leave enough honey in the hive for the bees, otherwise they will detect the scent of their honey and come looking for you. In no time you will be walking around with a face full of bees. It’s probably not a very good look. Here’s another all purpose cure for any sort of facial blemishes and also a disinfectant for countertops, dishes, laundry and so on. You’ll need access to a baby for this one because, ‘while still fresh and warm’ (fresh! ), you must wash your face with a urine soaked diaper. It’s possible that the trace amounts of ammonia found in urine was the reason why people had faith in this treatment. However, you will find much more bacteria in a soggy diaper than disinfectant. For those who couldn’t access said diapers, another popular treatment for disinfecting laundry involved hanging freshly washed clothes outside public toilets to absorb the scents. This must be what heralded the invention of perfume. But all of this begs the question, what do you wash the urine soaked diapers in? For those with little access to water, a dishwashing suggestion proclaims the cleanliness of a dog’s mouth, advising us to let our canine friends lick the plates clean. Given the stuff I’ve seen my dog put in his mouth, I think I’d probably lick my own plates. Finally, problems with stuttering? Whack the stutterer in the mouth with a chicken gizzard. Why? My guess is, not wanting to endure it again the person simply gives up speaking altogether. It is possible that while they may not have known the science behind it, the person who came up with the rabbit poo tea cure for hangovers observed that rabbits produce two kinds of dropping; pellets, which are nutrient poor waste, and cecotropes (also called ‘night faeces’). The cecotropes contain nutrients that were not absorbed the first time they passed through the rabbit’s digestive system so they must be eaten by the rabbit before the nutrients can be absorbed. This is why you must not be too fastidious about cleaning your rabbit’s living areas. Without noticing there was a difference between them (though it’s pretty obvious), the observer may have thought that if eating them kept the rabbit healthy, maybe it would do the same for humans with hangovers. Yes, okay, that’s where we really stretch the imagination.